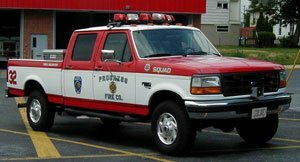 Squad 32 – 1997 Ford F-250 is used as a manpower unit. It is the primary unit due on A.E.D. calls. It is also equiped with an Amkus Combo tool and portable power unit, 4 S.C.B.A.’s, 2 PW’s, and numerous hand tools . Chief 32 drives the 2016 Ford Interceptor SUV. All vehicles assigned to the 3 Chief's and Duty Office have an on board GPS and Internet enabled tablet which is loaded with Mapping/Pre-Plan Software as well is a MDT linked with the County Communication center. The vehicle’s also carry accountability boards and other various incident command tools, SCBA, Hand Tools, Med Bad/AED, and Extinguisher. 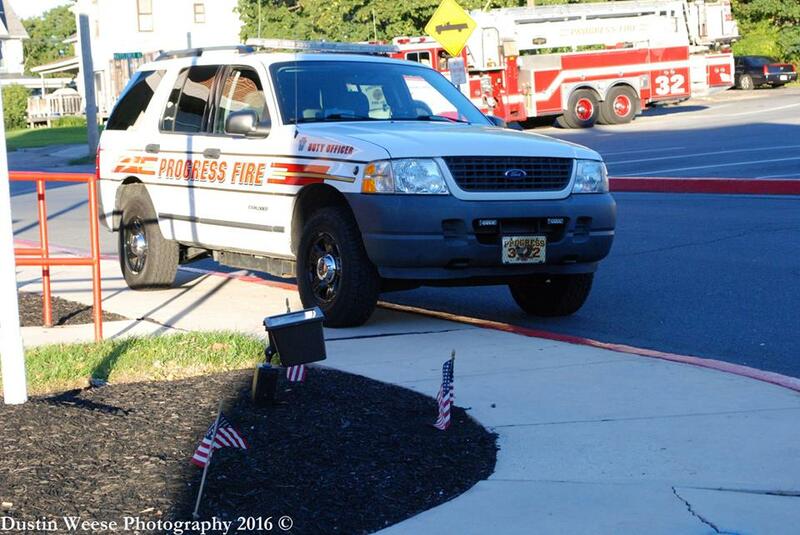 The Deputy Fire Chief drives a 2005 Ford Expedition which was rotated down from the Fire Chief. 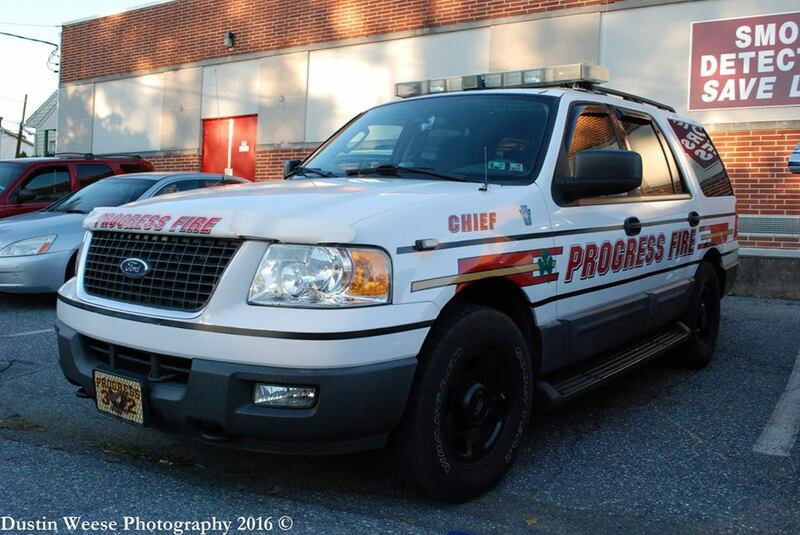 This vehicle is equipped with all the same items as Chief 32. The officers are on a rotating schedule of Duty Weeks, which allows for continuous incident command coverage. The junior officers can use this vehicle to respond to emergency incidents to run command. When they vehicle is not being used, the live-in staff operates the vehicle while conducting pre-plan inspections and other daily company duties. 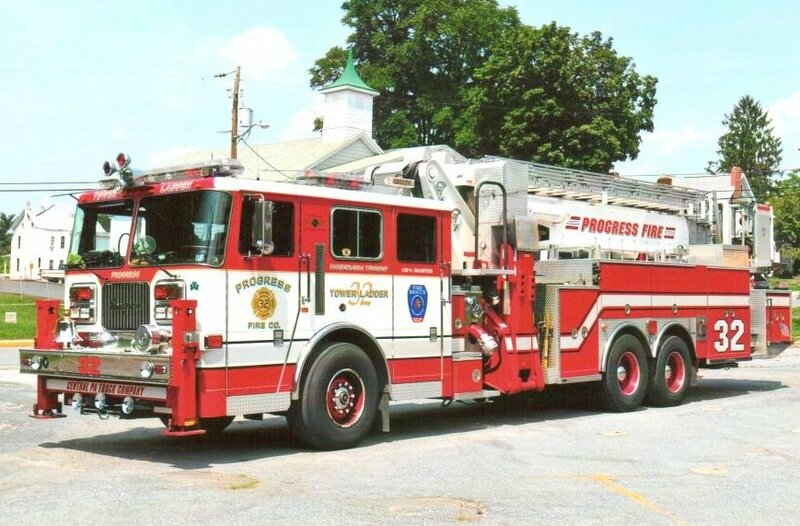 Nobody Does It Better- 2001 95′ Seagrave/Aerialscope Tower-Ladder this unit is equipped with a 20 kW Hydraulic Generator powering 5000 watts of lights and 800 feet of electrical cord. 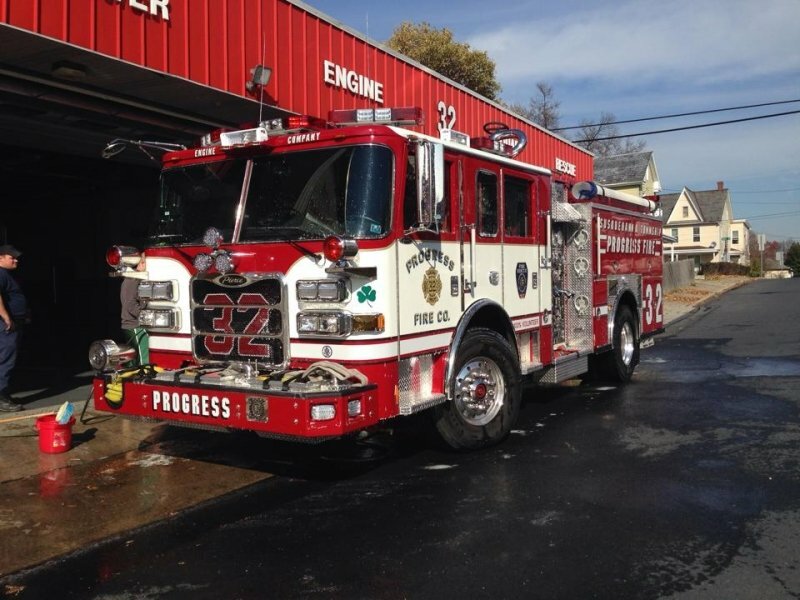 It is complemented with 255 feet of ladders including a Pompier Ladder, Dual Stangs, an Amkus Portable Generator and Combo Tool, Thermal Imaging Camera, MSA Gas Monitor, and numerous Ropes and Rigging equipment including a Stokes Basket. 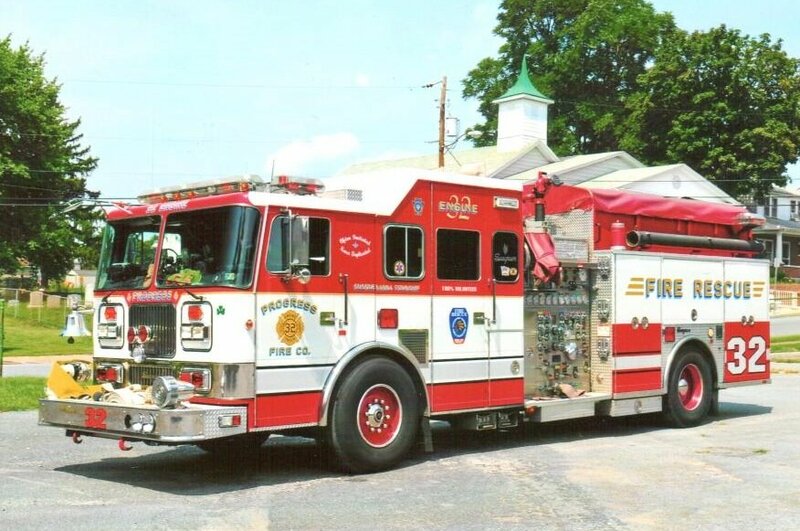 Engine 32-1 – Often Imitated Never Duplicated -1998 Seagrave Rescue Pumper has a 1750-gallon per minute pump and carries 500 gallons of water. It also carries a full Amkus Ultimate Rescue Tool System, consisting of a Spreader, Combo Tool, O-Cutter, Speedway Cutter, and Four Rams of various sizes. E32 is also setup at a R.I.T. unit. 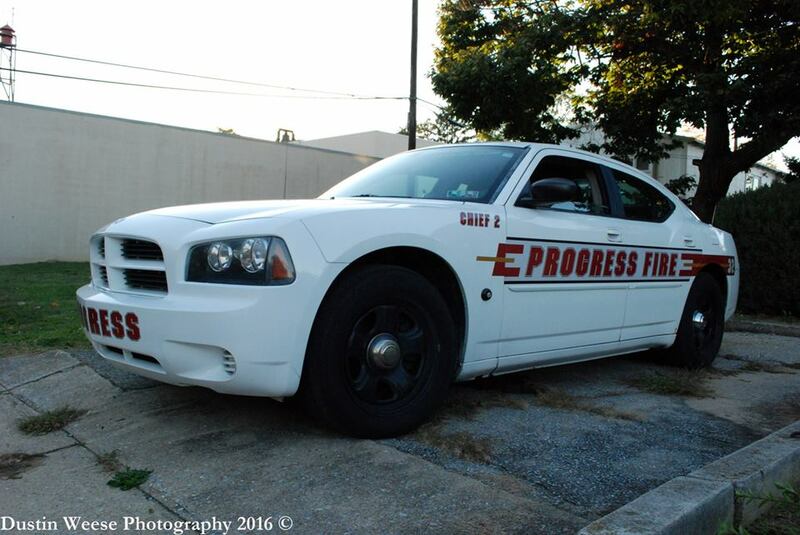 The Assistant Fire Chief drives this Dodge Charger. 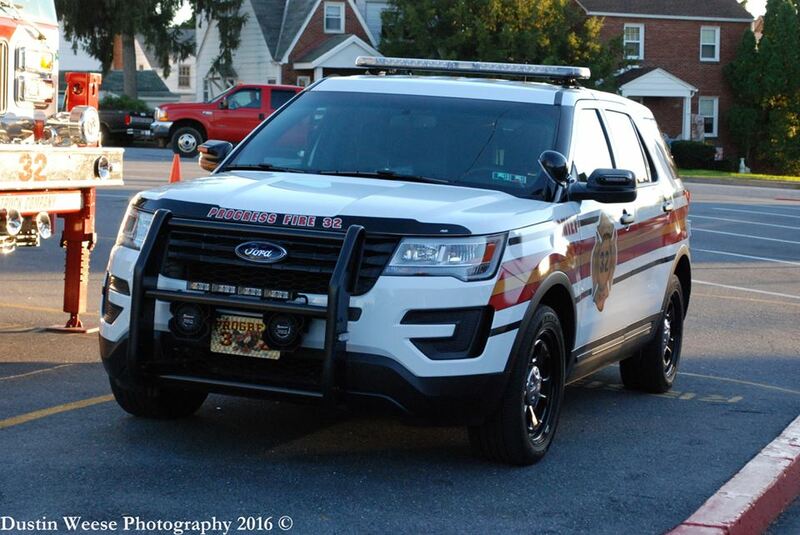 This vehicle was handed down from the Police Dept and is equipped with all the features as the Fire Chief.